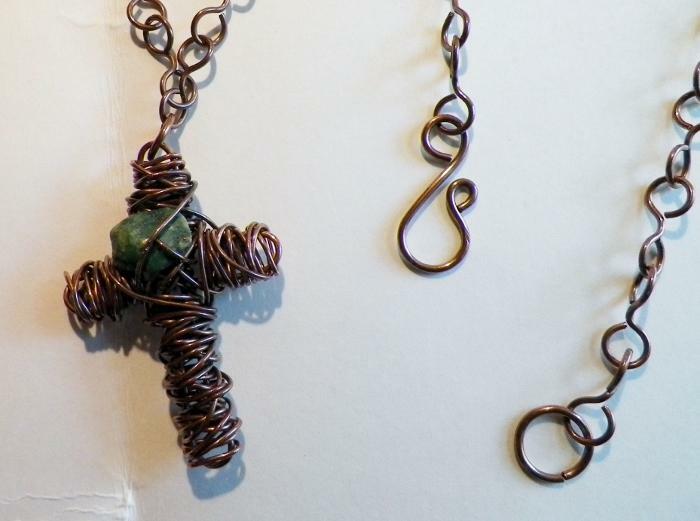 This unique handmade necklace was made by first forming my wire cross, then wrapping with 18 gauge copper wire. 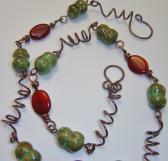 Each link in the 26" chain was hand cut and formed. 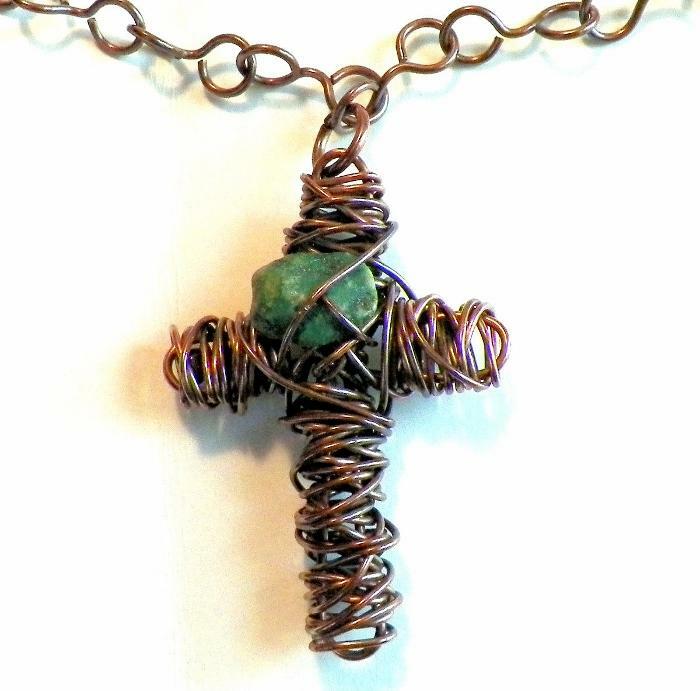 A small turquoise chip was attached to the cross with 22 gauge copper wire. The closure is a 16gauge handmade hook clasp that hooks into a 16gauge hand cut jump ring. 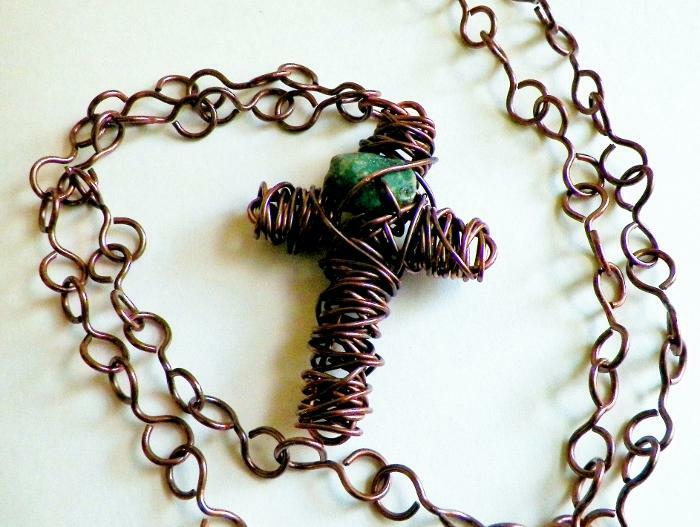 Necklace is approximately 26" in length, and the cross is approximately 2" in length. 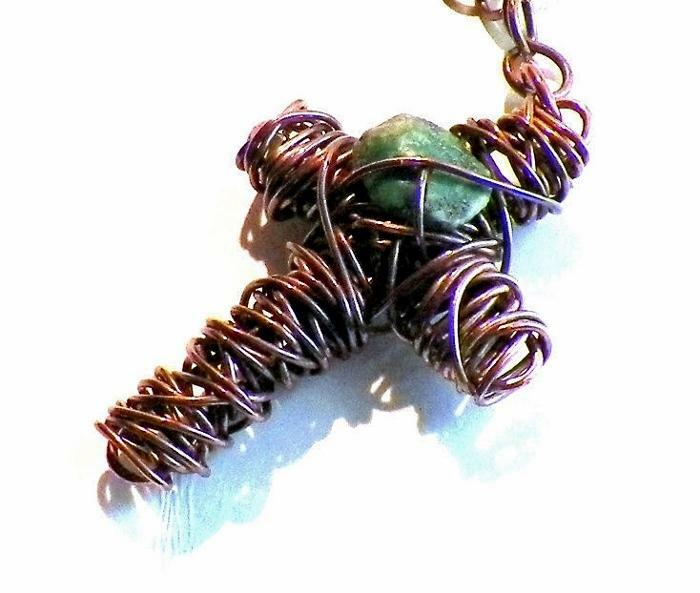 Necklace has been oxidized and tumbled to work harden and polish to a beautiful shine. 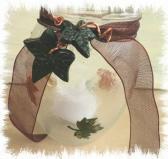 All of my creations are created in a smoke free environment here in the USA.